This fall, it’s looking like Alyssa Nuñez and and Brianna Foster-Nuñez might switch to a new school. It’s a pretty common experience in Detroit, where students switch schools 2.5 times more frequently than kids in the rest of the state. Governor Rick Snyder has named Jack Martin as the new emergency manager for Detroit Public Schools. Martin replaces Roy Roberts, who is retiring after two years in the position. 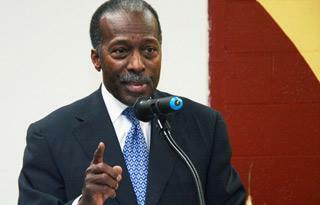 Martin is leaving his position as Detroit’s chief financial officer. Roberts says DPS still has a long way to go, but conditions are noticeably better than when he started; the current budget deficit is more than $70 million. Pontiac’s emergency manager Louis Schimmel has proposed the Emergency Loan Board address an expected $6 million general fund shortfall in the current budget year. The board approved a plan to suspend health care coverage for retirees from the city of Pontiac and increase their monthly pension payments. The city's roughly 1,000 pensioners will get an extra $400 a month to buy their own health care, the Associated Press reports. The U.S. Environmental Protection Agency has $9.5 million to distribute for Great Lakes projects and is looking for takers. The money comes from the Great Lakes Restoration Initiative, an Obama administration program to clean up and protect the lakes from a variety of threats. A webinar explaining the application process will be held July 30. After two years as emergency manager of Detroit Public Schools, Roy Roberts has officially left the position. Yesterday, Governor Rick Snyder named current Detroit Chief Financial Officer Jack Martin to replace him. 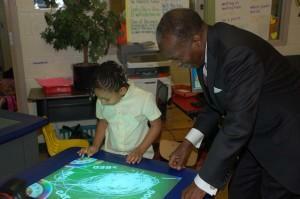 Martin has also served as emergency manager of Highland Park Schools, and as CFO of the U.S. Department of Education. Governor Snyder says he expects the transition between Roberts and Martin to be seamless. 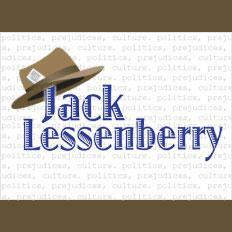 This "week in review," Rina Miller and Jack Lessenberry discuss the U.S. Senate race, allowing health coverage for live-in partners and the retirement of the emergency manager for Detroit Public Schools. Roy Roberts, emergency manager of the Detroit Public schools for the last two years, is leaving. His contract ends in two weeks, and he says he isn’t interested in extending it. You can hardly blame him. He is 74 and thanks to a successful career at General Motors, doesn‘t need the money. Roberts especially doesn‘t need more aggravation. 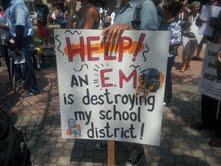 Being emergency manager of what is, in effect, a dying school system has meant 14 hour days and many angry people. There’s no way it could have meant anything else. His predecessor, Robert Bobb, was roundly hated, and whoever the governor appoints next will be too. 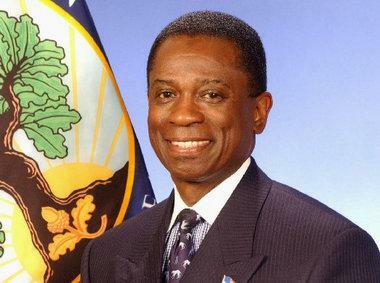 The state-appointed emergency manager for Detroit Public Schools announced his retirement today. 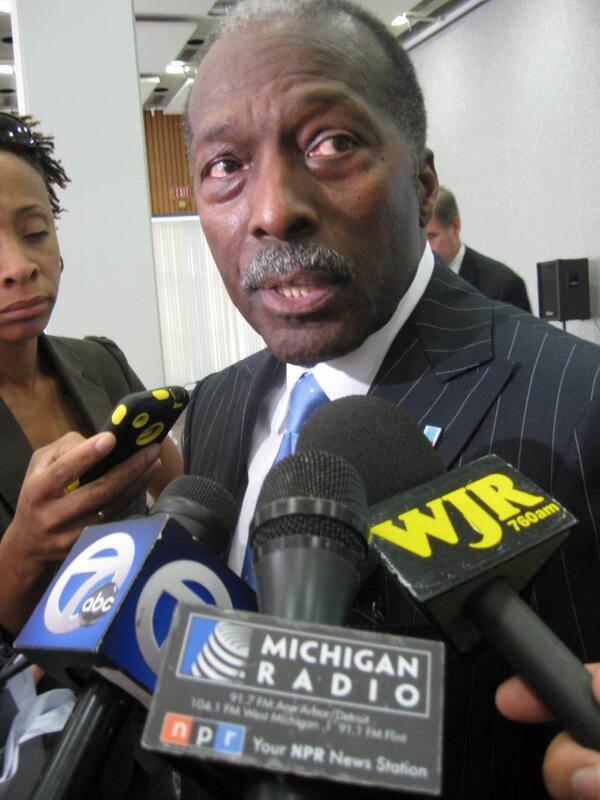 Governor Rick Snyder appointed Roy Roberts to manage the state's largest school system in 2011. A new plan outlines a path for the Detroit Public Schools to grow again. The “Neighborhood-Centered, Quality Schools” plan centers around the idea of “community schools” that offer a wide array of services to the community. Detroit’s elected school board will have short-lived authority over some key decisions. A Wayne County judge ruled Wednesday that the district’s emergency financial manager had exceeded his authority on some issues. Judge Annette Berry said Roy Roberts must consult with the school board on school closings, security, and some other issues. Roberts is supposed to share authority with the school board. He oversees finances, while the board supervises academics. Detroit school board President Lamar Lemmons says the ruling granting board members a partial injunction proves Roberts overstepped his authority. The arrangement will be short-lived, though. A new emergency manager law kicks into effect on March 28th, once again giving Roberts broad powers over the whole district. Lemmons says the board plans a court challenge to the new law. There’s some good news for the Detroit Public Schools in newly-released Michigan Educational Assessment Program (MEAP) scores. 42% of the district’s 3rd-through-8th graders scored “proficient or advanced” in reading. That’s up more than 6% from the prior year. Math scores jumped more than 4%, with fewer than 15% of students rated proficient. In most subjects, Detroit students’ gains outpaced state averages. But the district’s scores still remain well below state averages. Roy Roberts, the district’s emergency financial manager, says that’s exactly the sort of progress people should expect at this point. The number of Detroit students tested did drop more than 20% this year, though, as the district’s enrollment shrunk significantly. The state-run Education Achievement Authority took over 15 of the district’s lowest-performing schools last fall, leaving fewer kids in DPS. The district also has a dramatic long-term enrollment decline. Principal Ora Beard took over the school three years ago. She says boosting student achievement in a school takes time—and lots of reaching out to students and parents to build trust. The Detroit Public Schools plans to shrink even more to wipe out its deficit by 2016. The district’s latest deficit elimination plan projects that enrollment will dip below 40,000 by then. And in order to “stay ahead of the cost curve,” emergency financial manager Roy Roberts proposes some drastic cuts—including closing as many as 28 more schools, and cutting more than 1000 employees. Roy Roberts, the state-appointed emergency financial manager for Detroit Public Schools, will keep his job after the Michigan Supreme Court rejected a lawsuit attempting to remove him. The Supreme Court refused to overturn an earlier decision by the Court of Appeals ruling that Roberts’ office remains in effect under Public Act 72—the state’s emergency financial manager law of 1990. The lawsuit was brought by Robert Davis, a union activist and school board member in Highland Park. An 'emergency request' has been filed today with the Michigan Supreme Court asking that Detroit Public Schools emergency financial manager Roy Roberts be removed from office. Highland Park School Board member and union activist Robert Davis argues that the law supporting Roberts' position is no longer valid. 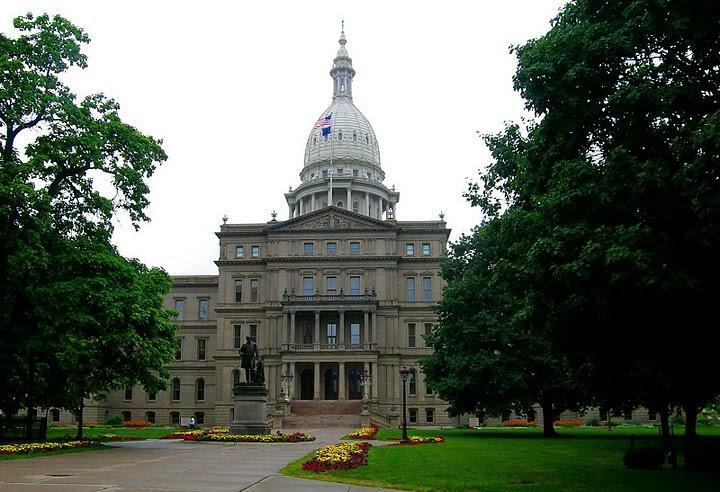 It's an argument the Michigan Court of Appeals disagreed on last week. Detroit Public Schools’ leaders are united behind an effort to renew Proposal S.
That’s a millage that accounts for more than 20% of the district’s day-to-day expenses, or about $80 million. It was a rare moment of unity for the various factions that run Detroit schools. But emergency financial manager Roy Roberts, school board President Lamar Lemmons, and Detroit Federation of Teachers President Keith Johnson all agree: the district would be "severely crippled" without Proposal S.
Roberts emphasizes that it’s for basic operations costs, like paying teachers--and it’s for traditional Detroit Public schools, only. “It will not be shared with EAA , charter schools, nor any other school on the face of this earth,” Roberts insisted. The EAA is the Education Achievement Authority, a new state-run district for failing schools that now has 15 former Detroit Public Schools. Detroit voters initially approved the 18-mill levy on industrial, commercial, and rental properties in 2005. Detroit Public Schools officials are happy with the district’s attendance figures so far this year. Emergency Financial Manager Roy Roberts says the district averaged 85% attendance Wednesday, the second day of school for Detroit students. Roberts says that’s much better than the past two years. The district didn’t reach a 75% attendance rate until later weeks, jeopardizing state funds. “We think this is proof that Detroit Public Schools is making great strides to meet the needs of the students,” Roberts said. A Wayne County judge ruled Tuesday that the Education Achievement Authority can launch as scheduled. That statewide district for the lowest-achieving schools is set to open with 15 former Detroit Public schools next month. 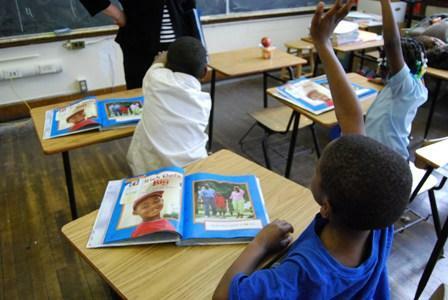 The elected Detroit school board had voted to reverse that decision. With Detroit Public Schools students set to head back to class in less than a month, serious questions linger regarding the district’s teachers. The district’s emergency manager, Roy Roberts, imposed new contract terms on teachers last month. That infuriated teachers and their union leaders, who said the district never even collectively bargained with them. But those new terms are now null and void, argues Keith Johnson, President of the Detroit Federation of Teachers. He says now that the law has been suspended, Roberts’ “authority” is suspended, too. The American Federation of Teachers is in Detroit for the group’s annual convention. And they’re taking it to the streets—and to Detroit Public Schools’ officials—on behalf of the district’s teachers. Earlier this month, Detroit Public Schools’ emergency manager Roy Roberts imposed new contract terms on the district’s teachers. Those terms include a pay cut, larger class sizes, and less prep time for teachers. The head of the Detroit Federation of Teachers has sent a memo to members saying union leadership wants the public school district's emergency manager to present a contract - imposed without negotiations - to the rank and file. The memo by union president Keith Johnson calls the agreement "a farce" and that it makes deeper cuts into benefits and working conditions. Emergency manager Roy Roberts announced the new deal on Sunday. Johnson says Roberts used "the full power" of the state's year-old emergency manager law in crafting the deal. He says teachers have to pay more for dental coverage and generic prescription co-pays. Life insurance has been cut by $5,000, and teachers now only get unemployment compensation for time off of work as a result of assaults from students or parents. A day after the Detroit Public Schools’ Emergency Manager imposed a new contract on the district’s teachers, both sides are staying mum on its terms. But teacher’s union officials are escalating their war of words against the district. Detroit Public Schools officials won’t divulge details of the new, imposed contract terms. Emergency manager Roy Roberts is empowered to impose contract terms under the state's emergency manager law. The state-appointed emergency manager for the Detroit Public Schools has imposed a new contract on the district’s teachers. Roy Roberts is empowered to impose new contract terms on teachers under the state’s emergency manager law. 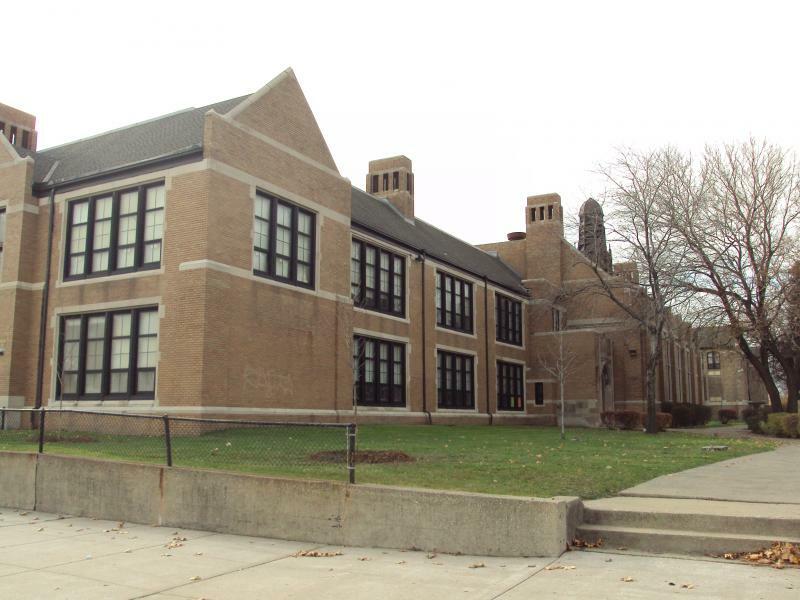 The district’s previous contract with the Detroit Federation of Teachers expired June 30. In a written statement, Roberts says the decision to impose a new contract came after “a series of meet and confer sessions” with union leadership prior to June 30. The Detroit Public Schools budget is taking a huge hit next year. But the district’s emergency manager says it’s part of a painful, but necessary restructuring to get the system back on track. Roy Roberts presented what he admits is a “draconian” budget at a community meeting Wednesday night. It shaves about 25%, or $250 million, off the previous year’s budget. 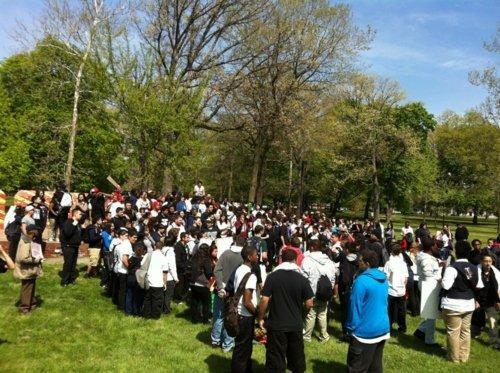 Detroit students suspended over walkout start "Freedom School"
More than 100 students were suspended from Detroit’s Western International High School this week. Those students were part of a group that walked out of school to protest district policies, and what they say is a poor-quality education. Now, some of the students are setting up what they’re calling a “freedom school” to attend while they’re suspended. LANSING, Mich. (AP) — The Michigan Supreme Court has decided to let Detroit Public Schools emergency manager Roy Roberts remain on the job. The court issued a unanimous decision Monday rejecting an appeal of a lower court decision upholding Roberts' appointment. The case was brought by Robert Davis, an activist who has filed several suits challenging aspects of Michigan's emergency manager law. Detroit Public Schools Emergency Manager Roy Roberts laid out his latest plan for how to turn the cash-strapped district around and help students improve. The Detroit Public School system will shrink again next fall, as the district scrambles to revamp itself amidst declining enrollment. This is just the latest in several waves of restructuring, as the district must constantly re-adjust to a student population that shrinks every year—and has fallen about 60% overall since 2000, from more than 167,000 students to about 69,000. LANSING, Mich. (AP) - The Michigan Supreme Court plans to hear a case over whether the state-appointed emergency manager for the Detroit Public Schools should be removed from office. involved are due within 42 days. Davis argues that the office of emergency manager should be declared vacant because Roy Roberts didn't immediately take the oath of office earlier this year. Roberts later took the oath. The district said in a statement that Roberts "continues to work on the hard daily tasks of strengthening educational opportunities for Detroit students and righting Detroit Public Schools finances." Students in Detroit Public Schools showed slight improvements in the latest round of a benchmark standardized test. But Detroit students still posted the worst scores of any district in the country on the National Assessment of Educational Progress test. The NAEP exam tests fourth and eighth-graders in reading and math. When Detroit students took the test for the first time in 2009, they produced the worst scores in the test’s history. 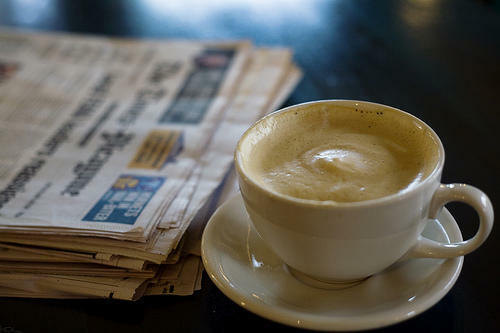 Some experts question whether the posted gains are even statistically significant. But Detroit schools’ emergency manager Roy Roberts says the important thing is a positive trend. Roberts says the biggest thing hindering Detroit students’ academic performance has been “instability” in the district. He says the district will announce in January how many more schools to close, charter, or move to the Education Achievement System, a new statewide district for the lowest-performing schools. Detroit Public Schools’ emergency manager Roy Roberts says the district is making headway on its deficit. The district ended the 2010 fiscal year more than $327 million in the red. Roberts says the district cut that by more than $40 million the following year. Roy Roberts has called a news conference for 11 a.m. to announce a six-month update and revised budget deficit projections. In September, the district was facing a $327 million budget deficit. Its finances have been under state control since 2009. Enrollment is about 66,000, down from 104,000 in 2007. Detroit's schools have lost millions of dollars in state per-pupil funding as thousands of parents fled the district for city charters or suburban schools.